Art is a universal language that touches the soul. It has the ability to help heal wounds, revive old memories, and connect people across place and time. And, with the chill keeping you indoors, it’s a great time to express your creativity. 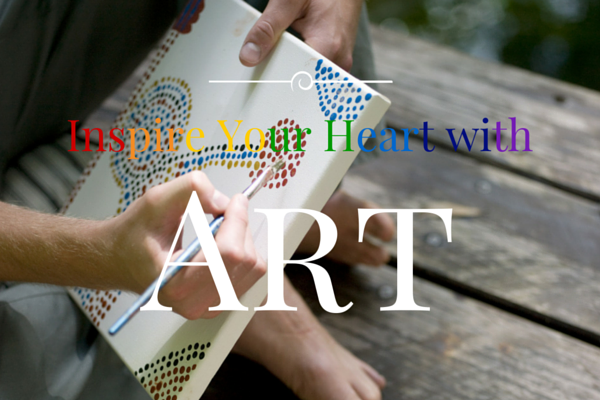 After all, today is Inspire Your Heart with Art Day, a holiday for self renewal through artistic expression and appreciation. So, take a pause from the monotony of your daily routine, stop simply going through the motions, and rediscover your passions. If you’re looking to get inspired, then here are some things you can do. Visit a museum. Nothing really compares to getting up close and personal with a piece of art. If you’ve never really been into art and museums, go into it with a different attitude. When looking at a piece, think why does this piece appeal to me? What am I seeing? What is the artist trying to convey to me? One fun thing to do is to try to name a piece before looking at its title. Listen to music. As one of the oldest forms of therapy, music is known to be a refuge during difficult times. If you feel like you’ve been in a rat race and are anxious about everything, try calming acoustic music without lyrics. If you feel like you’ve hit a slump and don’t have a lot of energy, try some upbeat music, such as techno and hip hop to get your blood moving. Decorate your home. Take some of what you’ve seen in the world and put it in your home. Your home is your biggest blank canvas. Don’t let it be boring and uninspiring. Throw some paint on the walls. Get some statement-making furniture. Turn your backyard into Van Gogh’s Starry Night. Do whatever it is you have to do get and stay inspired. Because why be inspired for just one day when you can be inspired for a lifetime? And, if you need help bringing your vision to reality, let TalkLocal find you the right local contractor to turn your idea into a masterpiece. After so many years of juggling responsibilities and trying to get ahead in the rat race, it’s easy to become jaded and lose that child-like wonder that used to color your world. So, have fun with your imagination today and rediscover the creativity and beauty that’s so important for living an inspired and fulfilling life. It’s Bubble Wrap Appreciation Day and we know what you’re thinking: why in the world would anyone celebrate bubble wrap? Well, bubble wrap has been around for 60 years, and over those 60 years, its use has expanded to more than just shipping packaging. Besides giving your kids a simple (if noisy) distraction, here are ten other unique uses for your leftover bubble wrap. Hair Rollers. Bubble wrap can be a beauty product. Rolled up bubble wrap can be used to curl hair just like flexi rods. And since there’s no rod, we bet they’re more comfortable to sleep in. Check out this tutorial for super bouncy spiral curls made using bubble wrap. Art. Bubble wrap is art. New York artist, Bradley Hart, has made a career out of recreating famous paintings by injecting paint into the tiny air pockets of bubble wrap. The process is very tedious and time-consuming; it takes about 150 hours to complete a single recreation but it looks spectacular. Cake. No, bubble wrap isn’t edible, but it can be used when making a cake look great. In this tutorial, the chocolate cake wrapping is given dimension and texture when the chocolate is poured over the bubble wrap, which acts like a mold. Here’s a video; see for yourself. Window Insulation. Bubble wrap was originally marketed as insulation before being used as shipping packaging. Tape bubble wrap to your windowpanes to prevent the cold air from penetrating into your home. Toilet Insulation. Bubble wrap can be used for sweating toilets. Yep, you heard us right, sweating toilets. If you find that your toilet is sweating after you hop in the shower, consider lining the tank of your toilet with bubble wrap. It’ll stop the condensation. Pipe Insulation. Burst pipes in the winter are an all too common problem plaguing homeowners. Wrap bubble wrap around your pipes to help prevent them from freezing. Again, the insulation properties of bubble wrap help to keep the pipes from freezing over. Flower Flotation. If you’re into designing floral arrangements, then this one’s for you. Cut a piece of bubble wrap that’s slightly smaller than the base of your flower. Snip a small hole in it, just big enough for the stem to fit through. Slip the stem through the hole and you’re done. Now just place the flower in water and it should float. Here’s a photo tutorial to walk you through it. Children’s Craft Projects. Bubble wrap can be used in a plethora of craft projects for children, such as sensory play, construction paper substitute, and pretend corn. Check out our Bubble Wrap Pinterest Board for more ideas. Joint Therapy. 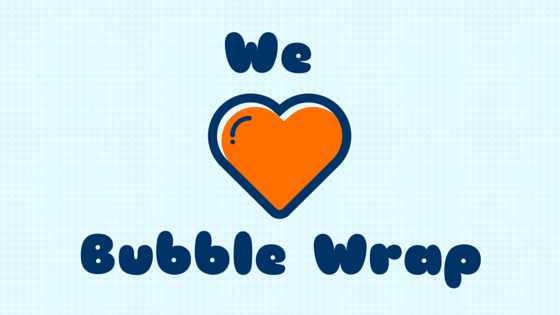 If someone you love has weak or arthritic hands, bubble wrap may help to strengthen hands. Try popping the bubbles for a few minutes a day to build up your hands’ joint and muscle strength. Stress Reliever. And as always, bubble wrap works amazingly as a stress reliever. If you often find yourself getting anxious while driving or hate sitting in gridlocked rush hour traffic, then wrap it around your steering wheel for a convenient way to relieve stress. If household chores are stressing you and bubble wrap doesn’t help, give TalkLocal a call. We’re always glad to help! Happy Kwanzaa everyone! 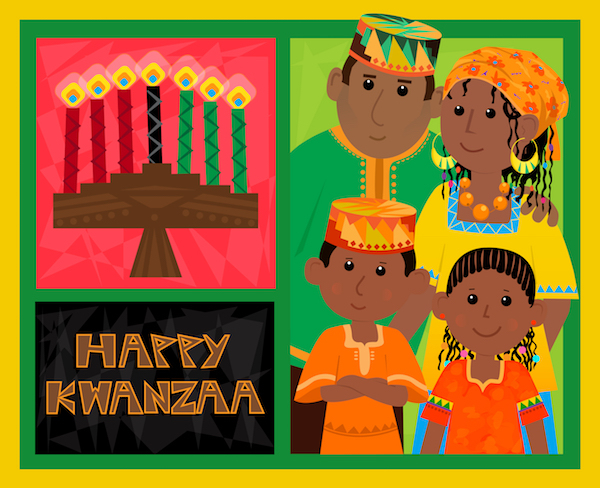 Kwanzaa is the time of year when we gather around family and friends and celebrate African-American culture. It’s a time to reflect over the past and look forward to the future. In the spirit of Kwanzaa and what it stands for, it is customary to exchange gifts on the final night of the week long holiday. Kwanzaa encourages homemade gifts. It’s hard enough trying to buy the right gift, let alone making one. Don’t fret, we’ve handcrafted the perfect Kwanzaa gift guide for you! This gift is perfect for the little musician in your life. Children will enjoy making music with their new instruments, and the more children at your celebration the better. Celebrate the spirit of kuumba (creativity) and ask them to perform as a band for the karamu (feast). Bath salts and scrubs are the perfect gifts for activists, workaholics, and anyone who is striving to define themselves through the essence of kujichagulia (self-determination). After a long, exhausting day, they’ll be so grateful to just sit, soak, and scrub away the day’s stresses. The “Open when…” cards are a sweet, sentimental gift for anyone. They’re little cards that you make for people to open when [insert feeling]. Here are some possible topics. When their imani (faith) starts to fade, these cards will help. This chess set is perfect for the (aspiring) intellectual in your crew! Ujima (collective work/ responsibility) is a necessary part in educating our children. Teach them (or let them teach you) with this chess set. A picture frame tray is a wonderful present for anyone. It sends the message of umoja (unity). Fill the tray with pictures of family, friends, and community; it’ll remind the recipient about the importance of umoja. This necklace is great symbol for nia (purpose). Like the constantly developing plant, we must also strive to develop our communities to be great. 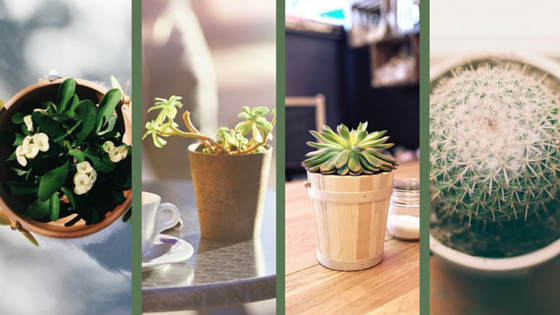 If a live plant doesn’t seem practical, then check out this one made with faux greenery. For more information about Kwanzaa, check out its official website here. 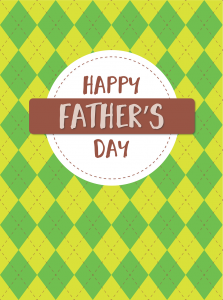 And remember, if you need something taken care of around the home so you can enjoy the time with your family, give TalkLocal a ring. “He’s making a list and checking it twice. He’s going to find out who’s naughty or nice. Santa Claus is comin’ to town.” Today is Santa List Day, the day in which Santa makes the first draft of his Nice or Naughty list. Have you been not so nice this year, somewhere in between naughty and nice, or (more likely) you’ve been solidly okay and know that you could have accomplished so much more? No matter what Santa brings you this Christmas, the sting of guilt, regret, or unworthiness can make even the new Coldplay album and surround-sound feel like a lump of coal. Here’s what you can do to get on Santa’s good side, or at least feel better about yourself, just in time for Christmas. No milk or cookies required. Show St. Nick that you’re not a liar, that you really do keep your promises. Now, go fix the kitchen sink. You don’t want Santa to see that you’ve been procrastinating. Clean the house. Not just put things away and organize, but actually clean. Break out the all-purpose cleaner and old toothbrushes. 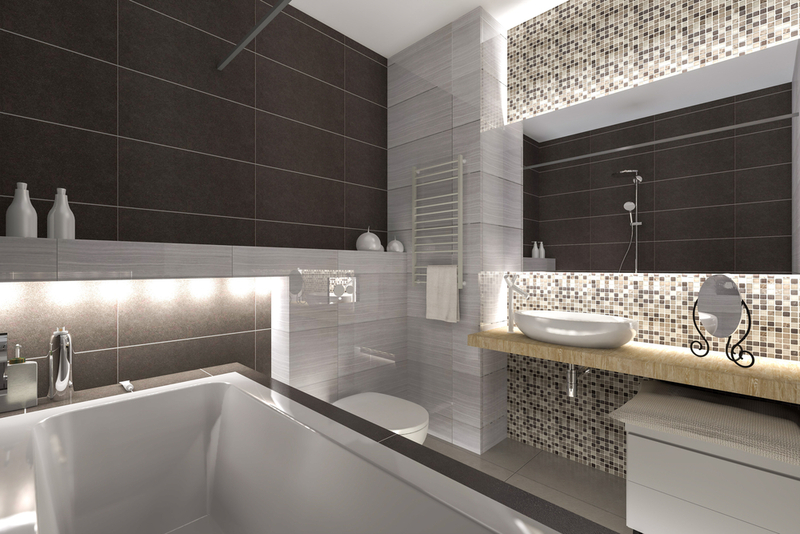 Scrub the bathroom tiles; scour the grout. Santa should be able to eat his cookies and milk right off the floor! Go out there and help somebody, more specifically your neighbor. Rake their leaves or, if it’s already snowing, shovel some snow for them. Let Santa know that like him you like to help others; and maybe those you’ve helped will express their thanks with an extra stocking stuffer this year. Now that you’ve organized your home, go ahead and donate those coats, scarves, hats, and gloves that you don’t wear anymore. Help someone in need like St. Nick would. It’s time for you to get festive and let Santa know that you’ve been awaiting his arrival. Put up the tree, throw tinsel on the staircase, and do it all while having a jolly good time. Ho, ho, ho! If you live in a frigid environment, one in which it’s guaranteed to snow for Christmas, then buy a snow rake. It’ll help protect your roof from caving in because of the weight of the snow as well as ensure Santa has a safe landing in order to deliver your gifts. Santa can’t deliver the goods if he can’t get down the chimney. Here’s some tips on how to clean your fireplace and what can happen if you don’t. Break out the stationary and try to correct your mistakes. That’s what Santa would do. If the letters don’t work, you can at least say that you tried. Spread the holiday spirit and host a holiday dinner or party. It would be especially thoughtful of you to invite those who would least expect it. No one is perfect, and you’ve probably had more good days than bad over the last 360 odd days. So, be thankful for what you have, appreciate who you are, and continue to do your best for the rest of the year and into the future. Overwhelmed by all that you need to do to make a strong finish out of the year? Give us a call and let us find you some help, whether you need a maid, handyman, or party planner; TalkLocal connects you the right pros by phone in minutes! This holiday shopping weekend is undeniably going to be the largest, busiest shopping event of the year. Before you proceed to shop holiday shopping weekend, check out some important factors to consider. We’ve whittled the categories down to finance, hours, quantity, variety, locale, and gratification. Each day has its pros and cons. Depending upon what’s important to you, you may have to reconsider on which day you shop. But hey, why shop just one day? 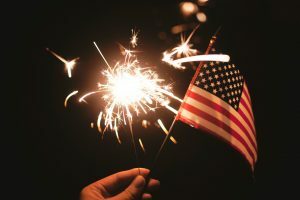 For one thing, sales start on Black Friday (aka Thursday evening) and continue Small Business Saturday before finally concluding on Cyber Monday. That’s three days to save! Before you brave the masses this holiday shopping weekend, call us to make sure car and computer are in tip top shape.